Inconvenience of a flight delay or cancellation since 2009? Contact us and we'll do all the hard work. We make claiming easy! Then sit back, relax and think about spending your money. Another holiday? At some point, almost all of us have been inconvenienced due to a Flight Delay. The vast majority of flight delays could have been avoided by the airline. Thankfully, we are now seeing a change. Backed by EU Regulations, it has rightly been agreed that passengers who suffer a flight delay over 3 hours, should be due Flight Delay Compensation. Airlines are now getting their house in order to ensure avoidable flight delays are a thing of the past. Our flight delay compensation experts are here to help you claim what you are entitled to. 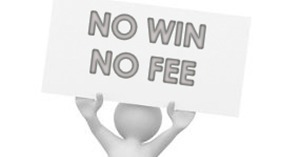 Make a No Win, No Fee Claim today. Flight Claim UK will deal with your flight delay compensation claim on a No, Win, No Fee basis. You will not pay a penny if your claim is not successful. Airlines have put aside 4 Billion Euros to deal with flight delay compensation claims. Finally, airlines will have to get their house in order to protect passengers rights.